We show you proven online strategies to beat the banker with exclusive online tips. 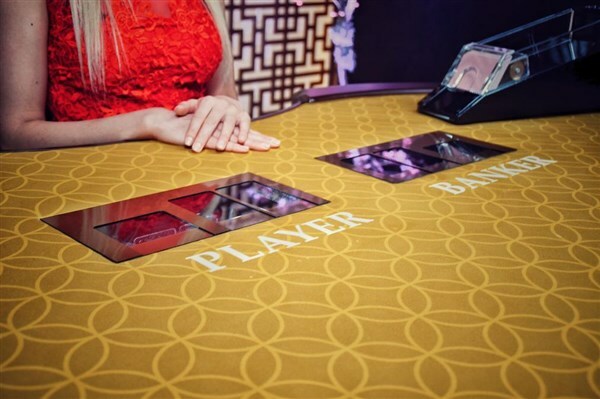 Baccarat is an intimidating prospect for a new casino player. Yet it is one of the most simple games to learn. Maybe the intimidation stems from the glamorous presentation of the studios. Or the fact that it is one of James Bond's favourite casino games. Either way, you shouldn't feel any fear if you are considering this table classic. In fact, you can learn how to play baccarat in a matter of minutes. First of all, let's start with the very basics. In a game of live baccarat - you have three betting options. You can bet on the player (represented by you), the banker (represented by a dealer) or you can bet on a tie outcome. In some games, there will also be extra side bets, but we will get on to those later. As with other card games (like online blackjack), each card has its own value. An Ace is valued at 1, while cards from 2 to 9 retain their face value. Cards valued 10 or above are valued at 0. The best hand in a game of baccarat is 9. When bets have been placed, the dealer will deal two cards to themselves and two cards to the player. The values of the cards will then be totalled. If a hand exceeds the maximum value of 9, then the first digit will be dropped. Let's say the dealer deals you an 8 and a 7 card. The total hand value would be 15. As this is above the max hand value, the first digit is dropped leaving you with a hand value of 5. In this instance, the drawing of a third card would also come into play. If a player's hand is 5 or less they will draw one more card. If a player's hand is valued at 6 or 7 - and the dealer hand is 5 or less, then the dealer will draw a new card. It's worth noting that if either the player or banker's hand is valued at 8 or 9 on the initial draw, then both hands will stand. This is what is known as a natural. Baccarat is a unique game compared to other more strategic card games. A game of blackjack for example will have its own set of recommended plays and strategy. And in poker, you can bluff and use psychological skill to defeat your opponents. 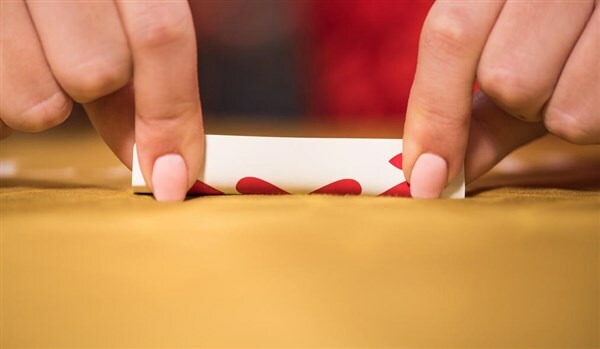 But in this card game, results are as random as a coin flip. Either the player wins or the banker wins. Yes, there is the tie side bet - but the chances of a tie in baccarat are just 9.53%. And that is not favourable odds compared to the much higher chance with a player or banker bet option. The best way to play baccarat and win? Avoid the tempting 8 to 1 payout of the tie bet. And while you are there - also avoid any side bets too. These types of bets include Player Pairs and Banker Pairs - which pay out if the respective dealt hand has a starting pair. These types of bets can seem lucrative, but the odds are once again stacked in your favour. If we had to choose the best online or live baccarat game to play - our money would be on the Evolution Squeeze Baccarat room. Not only is the Asian design of the room delightful - the interactivity is also second to none. We also get to experience the final squeeze maneuver in unmatched HD detail. The squeeze is a baccarat tradition which teases the final card in a tantalising fashion. And Evolution truly bring this moment to life with an array of 15+ cutting edge high definition cameras. The breathtaking close ups and the edge of the seat slow-motion capture make this a truly unmissable experience. Need some more baccarat inspiration? Check out our online baccarat category for even more games to play and even more tips to use.